Doni-Jo Minor-Munro, Yuchi tribal member is a Traditional Spiritual Healer who currently serves as Director of Urban Indian Education in Santa Barbara Tri-County area California. "The Creator is always with us." WASHINGTON, DC, February 14, 2019 /24-7PressRelease/ -- Doni-Jo Minor-Munro, of Santa Maria, California, is the CEO/CFO of Our Children Are Sacred, Inc. and Tsa HO fa, a consortium of Traditional Indian Educators. She was recently honored by the prestigious White Bison organization. This unique distinction is testament to her tireless efforts as a champion of American Indian youth and culture. Ms. Munro believes in traditional Indian services including: Native American Pre-K through 12th grade school, healing ceremonies, ICWA family support, "Healing with Horses", and Native Veterans sweat lodge programs. She is affiliated with UNIC, USET and the National Indian Education Association (NIEA). As a White Bison Master Facilitator, Ms. Munro is presently attending "A Day On The Hill" in Washington D.C., which is actually a three-day event where Ms. Munro and other influential Native Americans will be able to make even greater strides for their people. Having the undivided attention of many of America's leaders and lawmakers will finally give Ms. Munro the opportunity to advance her position to the point where she'll be able to facilitate programs nationwide. "This allows us to teach people how to do what we do," says Ms. Munro, adding, "The programs allow for us to help our people in a very positive way. I can facilitate big changes with these programs, and reach so many more kids." Ms. Munro expects to advance her youth programs and education agenda with the support of the House of Representatives and Senate, where she is invited to speak this week. 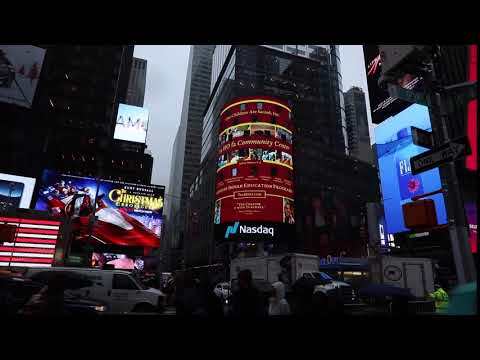 Doni-Jo Minor-Munro's Tsa HO fa organization recently received significant exposure as part of a special billboard campaign in Times Square, New York City; they were featured on the Thomson Reuters building, and the iconic Nasdaq MarketSite tower. Ms. Munro's upcoming, extensive interview series will debut in multiple installments on the Tsa HO fa website throughout 2019. TSR News Group, the interviewer, has elected to promote this story as the centerpiece of its Q2 2019 news release slate.